The trial court had opined that at least nine accused, including Kodnani, showed “no consideration for human lives and played leading role in entire massacre of Naroda Patiya”. 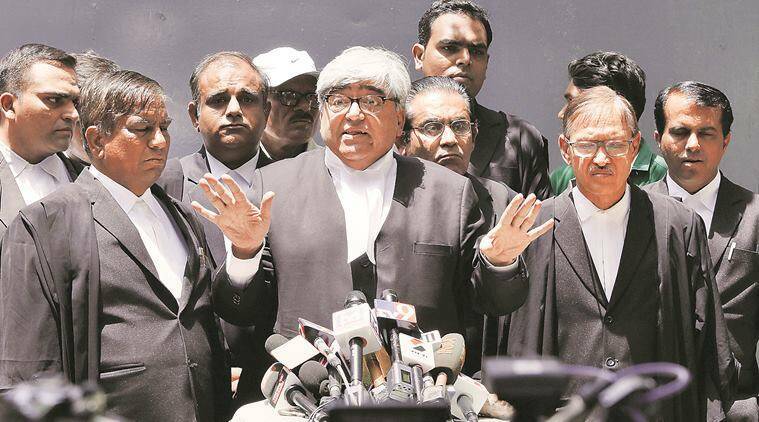 The biggest setback for the Supreme Court-appointed SIT in the Naroda Patiya case was its failure to establish in high court the criminal conspiracy theory it established in the trial court. In 2012, the trial court found 27 accused guilty of criminal conspiracy and other charges and held former BJP minister Maya Kodnani and former Bajrang Dal leader Babu Bajrangi as “principal conspirators”. The divison bench of the high court, however, pronounced only three persons — Bajrangi, Suresh Langado and Prakash Rathod — guilty of criminal conspiracy. The trial court had not found Rathod guilty of criminal conspiracy. “It needs to be noted that at that time, A-37 (Kodnani) has played a role of one of the principal conspirators and a kingpin of the communal riot. India is a secular state and such offence by the elected member of the constitutional body needs to be viewed by the Courts very seriously where disharmony, hatred and enmity based on religion was created by instigation and where such commission of the crimes were abetted by A-37,” special judge Jyotsna Yagnik had stated in her order. The trial court had opined that at least nine accused, including Kodnani, showed “no consideration for human lives and played leading role in entire massacre of Naroda Patiya”. The trial court ruling came on the basis of the statements of 11 witnesses who had testified against Kodnani. It had been alleged that Kodnani led the mob and also distributed weapons, something that the high court didn’t believe. “This Court is of the opinion that when such a big calamity comes and such a terrifying and horrifying situation of presence of mobs of majority with deadly weapons takes place in the constituency of any M.L.A., it is not probable that the said M.L.A. would not come at all to one’s constituency even if one is available in the city,” the trial court order states. “It is hereby held that A-37 was kingpin, A-37 and A- 18 (Bajrangi) are principal conspirators…hatched the criminal conspiracy with intentions to take revenge with the Muslim community and they were in agreement with each other to do illegal acts…,” the trial court order said.